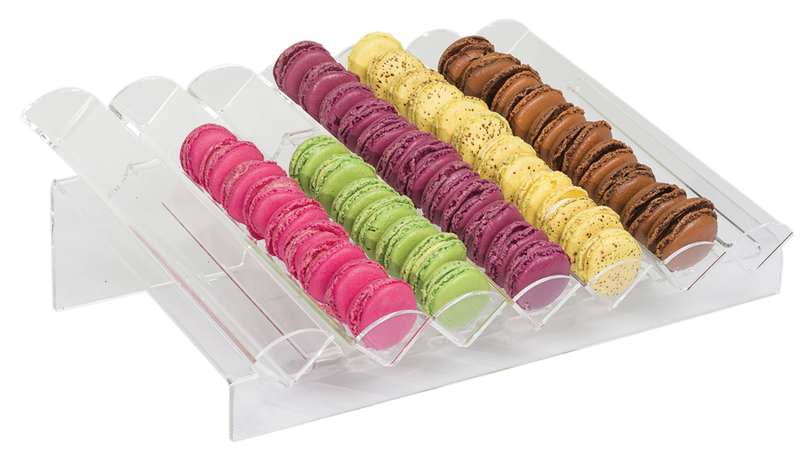 Transparent macaroon display stand for window, shop and buffet presentations. 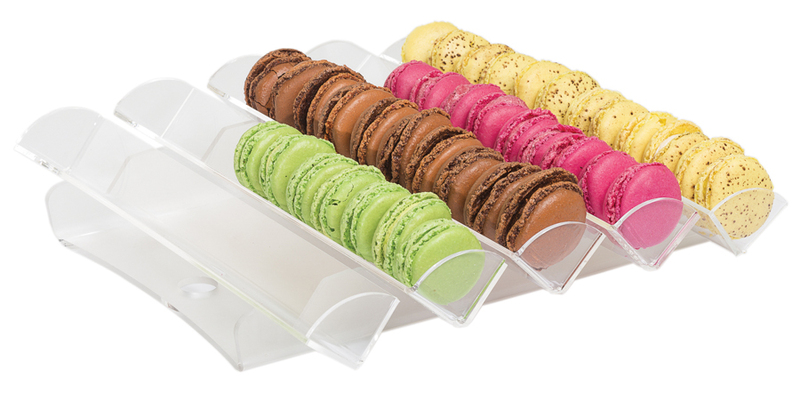 With adjustable dividers, ideal for renewing assortments displays. PMMA. Can be washed by hand. Dishwasher not recommended. 7 rows of macaroons. Ø 40 mm (1 5/8"). Length 18 1/10", Width 13", Height 5 3/4"
5 rows of macaroons. Ø 35 mm (1 3/8"). Length 12 3/4", Width 12 3/8", Height2 1/2"